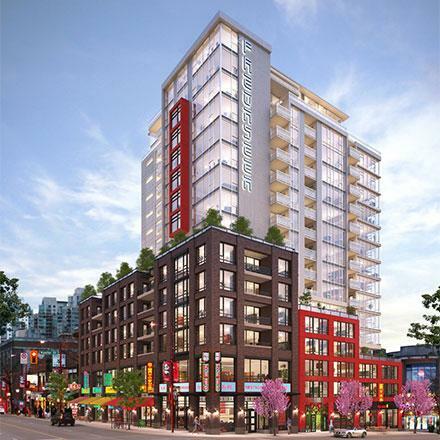 188 Keefer St is a new condo/apartment project by Westbank currently in preconstruction at 188 Keefer Street in Vancouver. Sales for available condos/apartments start at $239,900 for one bedroom and $399,900 for two bedrooms. The project has a total of 156 units. Sales just started this weekend. Contact me directly for more info and prices.